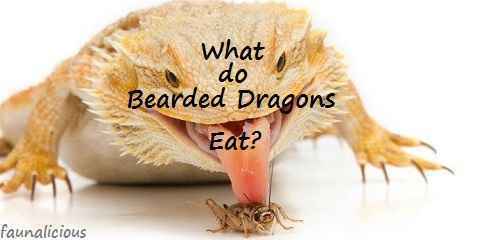 What do bearded dragons eat? How long does a bearded dragon have to be fed? What kind of food do they eat? Sometimes people as the pet owners feel too worried to find the best food for their lovely pets. Whether you consider these bearded dragons cute or not, the pet owners are willing to do everything to find the best food that can make their bearded dragons still alive. There are crowds of people who aren’t afraid of spending money just to buy those stacks of food for this reptile. Adopting a bearded dragon is a fun and also exciting thing. It doesn’t bark that loud like a dog and meow like a cat. In fact, these bearded dragons should have been taken care very carefully from its food. As the diet of the bearded dragon has to be varied, it is also important to think of the nutritional facts too. The most common treats for a bearded dragon are mostly crickets, dubia roaches and locusts. However when you want your bearded dragon to have their nutrient intake gets improved you can start giving it Phoenix worms, butterworms, and also some amounts of the fruits and vegetables mixture. This way, the pet you have will complete all the nutrient it needs to get. For the staple greens, the pet owners can range this kind of food list such as the endive, collard greens, dandelion greens, watercress, mustard greens, turnip, and also escarole. These greens are the small seeds that people often use to feed birds. What about the vegetables for the bearded dragon? They can try okra, yellow squash, sweet potato, snap peas, acorn squash, green beans, and also butternut squash. These vegetables are mostly the vegetables that provide water or the watery vegetables. 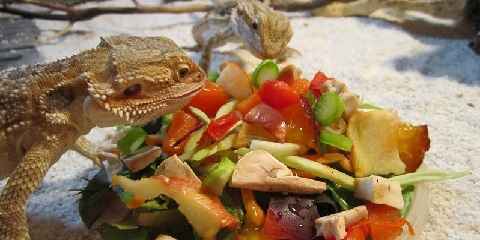 Another type of the leafy vegetables that bearded dragons would like to have their appetite increased are the peeled cucumber, bok choy, parsley, kale, carrot tops, celery leaves, and also Swiss chard. In fact, there are other common vegetables to be fed to the bearded dragons. They are mostly eaten by the people as well. They are the pumpkin, carrots, asparagus, beets, broccoli, bell peppers, cauliflowers, green peas, and also zucchini. What about the vegetables to get rid of? Rhubarb and also lettuce should have never been given to the bearded dragon. Rhubarb is said to be the vegetable that contains toxic while lettuce has no nutritional value for the diet of the bearded dragon. Lettuce can later bring diarrhea to the pet. Well, that might be the list of what you should give to your pet. Here is the bearded dragon food pyramid for you to check. The base of the food pyramid for the bearded dragon is leafy greens which can be given every single day, followed by the insects mentioned earlier as well. Vegetables can be given 4 days in a week followed by both vitamin and also calcium which are only given thrice in a week. The top of the pyramid is placed by the fruits which are only fed once in a week. Have you found your answers on what do bearded dragons eat?